Smart phones are not just a trend these days, they are our necessity. As we breathe air to stay alive similarly we need smartphones to stay socially alive. The speed with which newer versions of upgraded and improved iDevices are coming, with the same speed we are upgrading to newer versions. But have you thought how much your business and social life would be affected if you lose your iPhone data? From contacts, to music, to files, everything is of equal importance. People do keep on loosing data accidently by themselves or other unseen reasons. In this post, I am writing about Coolmuster, it is one such application which restores your lost data and recover it to your iDevice. This is a very helpful functionality which lets you to preview the files before you actually recover them, so if you do not want any particular file to be restored just uncheck it and mark only the ones needed. For example after loosing all important messages, you would have thought for long, how to retrieve lost messages from iPhone? Well, next time, you can easily recover all your iPhone messages with ease using Coolmuster Data Recovery. All the information related to a particular file is visible on the main window itself, also you can check details of call logs, messages, calendar, history, contact details, etc. All the data on your iOS device will be categorized according to type of file into different subfolders, this allows you further flexibility to recover what type of file you were looking for rather than going through whole extensive list. 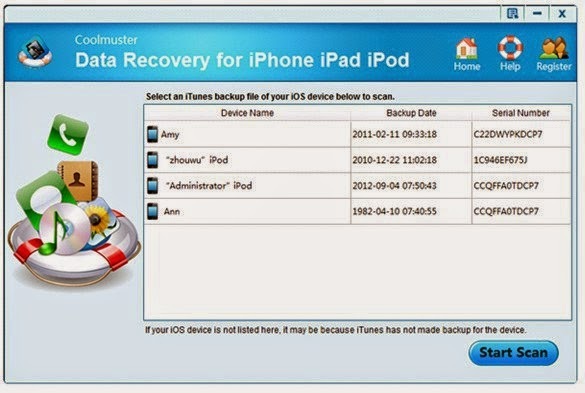 I must admit that Coolmuster Data Recover for Apple devices like iPhone, iPad, iPod etc. is the most reliable way to be found to recover your important but mistakenly lost data from Windows System. We tried software's iPhone contacts recovery feature for iPhone 5 and the software recovered all contacts in quick time. It provides two ways of usage, online or offline, so depending on your network availability you can chose option best suited. Since this software is extremely safe to use, you have to keep aside all the worries of adware, spyware or viruses. Even if you are concerned about losing the quality of data, Coolmuster assures to recover all your stuff without negotiating even a percent with the quality of your file. Also, this tool works on ZERO RECOVER MODE, which ensures that the data is recovered in its original shape without any damages or modifications to it. Coolmuster also gives you option to recover data in batch mode or singularly by selection one file each time. 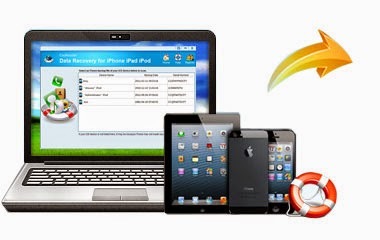 It is needless to say that Coolmuster Data Recovery for iPhone iPad iPod is rich in features, as have already mentioned and you might find if you use it, it offers plethora of features to get your data back safely, securely and originally. I get a number of requests and queries about getting data back on iPhone 6, 5 or earlier versions and my suggestions always has Coolmuster in priority list and whoever chose to use it always comes back with positive and satisfactory comments. So it’s the consumer speak which is highlighting this product.